Bindweed, Convolvulus arvensis, is a I wish I’d investigated this weed 15 years ago when we moved on to the property. 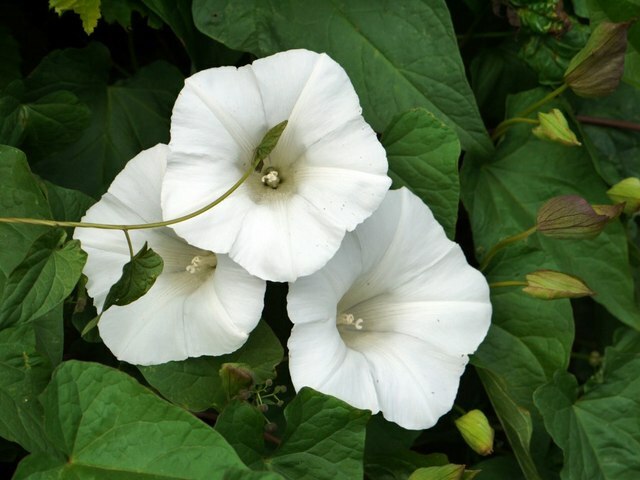 This pretty little vine has smooth, heart-shaped leaves and trumpet-shaped, light pink to white flowers that look like morning glories. They close each afternoon and reopen the following day. It’s mildly annoying, but so pretty and pulls so easily that I never really minded it. But after reading about it this week I decided that’s like saying Typhoid Mary makes great chicken soup. 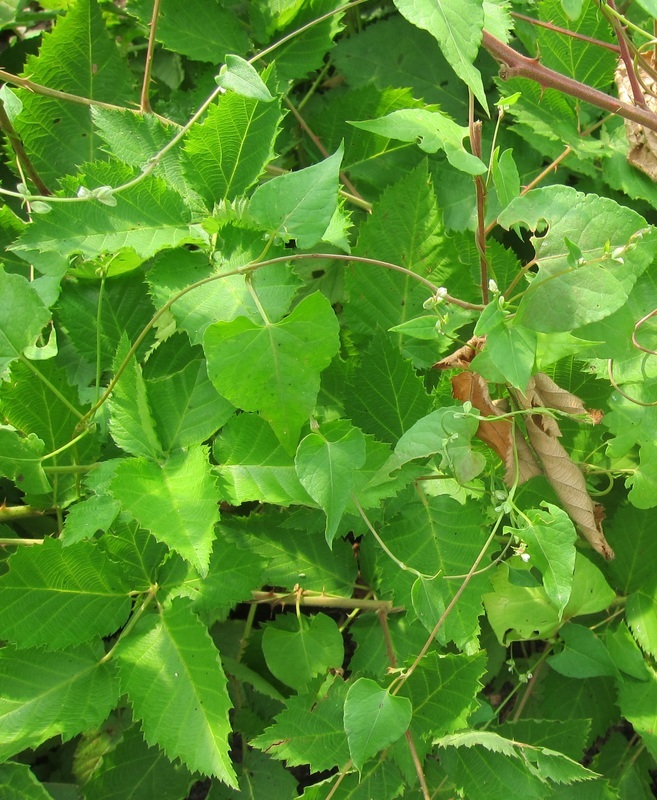 According to Andy Hulting, a weed specialist at Oregon State University, this pretty little weed is considered to be one of the most noxious weeds in the world! Once it is established it is nearly impossible to completely eradicate it. Bindweed also spreads by rhizomes, nodes along the roots that send up shoots creating new plants above ground. Anytime the root is cut or broken the pieces can start a new plant. Buds on root segments as short as one inch will reproduce. This reproductive budding from the roots will begin as early as six weeks after the seedling first emerges from the ground. Bindweed roots have been known to penetrate 20 feet deep making it impossible to pull out all the roots. Since the broken pieces of root each begin a new plant hoeing or tilling these plants actually increases the number of plants. 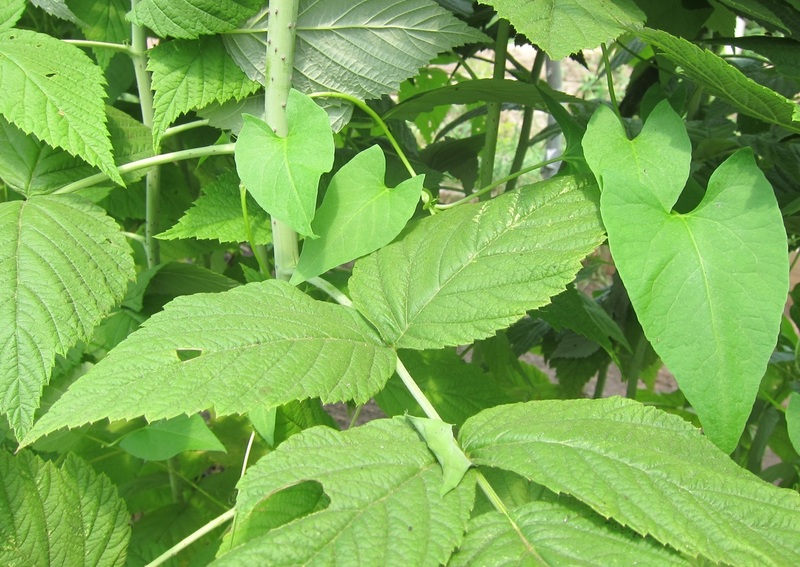 Their roots increase in vigor are more likely to produce more plants the older and larger it gets. Bindweed is so prolific that it will spread to new locations by means of soil or pieces of roots or stems left on farm equipment. A field infested with bindweed loses it's resale value because a dense infestation of bindweed can reduce crop yields by up to 60%! Bindweed starts out growing along the ground. The stem rotates in a circular pattern until it attaches to a solid structure (fence posts, other plants or even a blade of grass) and then it will wrap around the object and climb. 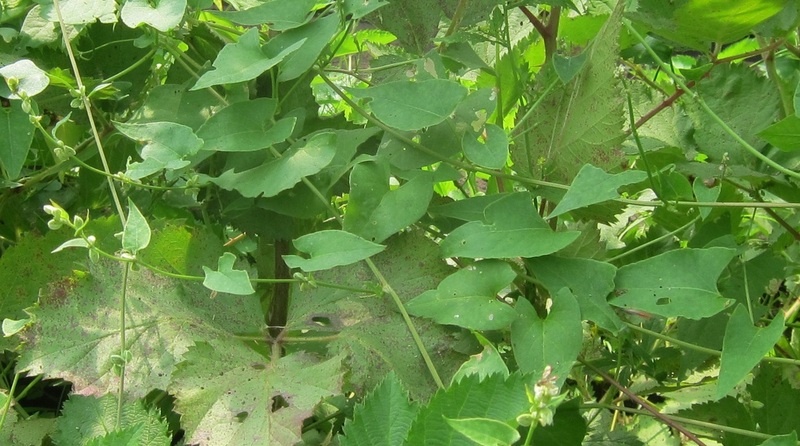 If you want to get rid of bindweed without using herbicides you will need to continue to pull each plant out over and over for three to five years. The roots will break off in the soil when you pull it and any roots left in the soil will regenerate in about two weeks. Go back and pull it up again as soon as it shows up — about every three weeks. You will have to do this several times but eventually it will die because it isn’t getting sunlight for photosynthesis. But be prepared for a long battle. It may take three or even up to five years for the roots to die because of lack of sunshine. Some people recommend cutting it off with a scissors so that there is less opportunity for the roots to break and spread into new plants. Camouflaged until it is well established! This weed seems overwhelming. It will choke out desirable plants and tangle up farm equipment. I have a horrible time with it in the rows of raspberries. I don’t usually see it until it is quite high on the canes and very tangled in the brambles. On the bright side it does have pretty flowers that smell good and, in a pinch, the stems could be used as a twine when tying up plants…but I don’t recommend it. Good luck!